There are only a few places left on earth you can still call paradise........ Taveuni Island in Fiji is definitely one of them. 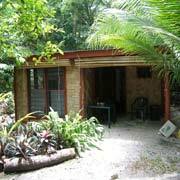 We are an online accommodation and adventure activities booking service for Taveuni Island. We do not charge a booking fee for our services. Known as the "Mystery Island of Fiji", Taveuni is one of the hidden gems in Fiji's South Pacific crown jewels with beautiful scenery, unspoilt beaches, and some of the best diving in Fiji. With its natural wonders, "raw" wilderness and beauty, Taveuni is Fiji's best unspoilt wilderness destination with Fiji's only World Heritage listed National Park (Bouma NP). Taveuni Adventures has been providing accommodation, adventure tours, diving and game fishing bookings for Taveuni since 2004 and we are the premier online booking site exclusively for Taveuni. We have thousands of satisified customers, because we know and understand Taveuni. Taveuni has magnificient reefs, mountains, rainforest, volcanic formations, mangroves, abundant wildlife and flora, as well as one of the friendliest people on earth. Yet, Taveuni is not over crowded with tourists, like some other parts of Fiji. You can still maintain your sense of adventure and privacy, which all adds to the mystery of the island. Taveuni is also Fiji's premier honeymooner's destination. It has the seclusion you deserve on your honeymoon with some of the most exclusive resorts in the South Pacific. With easy access to the island (via airplane and ferry), excellent range of accommodation, (ranging from five star to budget beachside camping), and one of the world's top diving spots, combined with good infrastructure, sophistication, traditional charm, and friendly locals, all make it a "must see" destination if you want to experience real island life, at the relaxing pace of "Fijian Time". Taveuni Adventures can help you unravel the mystery of Taveuni and neighbourings islands. We provide a wide range of accommodation from luxury "honeymooning" and relaxing getaways through to family and adventure travelling. Contact us and let us find a deal to suit your budget. Explore the genuine side of island life! Whether it be adventure, honeymoon, diving, fishing or relaxing holiday (or all five), Taveuni is the place for your magical holiday. It has the accommodation facilities, resorts and activities to leave you with a magical, memorable experience you yearn in your holiday. We can even organise honeymoon packages. Just let us know what you want. Why not make Taveuni Island your next unique holiday and real adventure experience and see for yourself why Taveuni is known throughout the world as the "Mystery Island" of the Fiji Islands?